Most people that want to burn fat and lose weight fail because they spend too much time with ineffective exercises to accomplish their goal. If you want to burn fat and lose weight effectively there are a few things to look at when you chose exercises and plan your workout routine. If you want to burn fat and lose weight effectively, the first thing you need to know is that exercises burn calories, so you want to chose exercise that burn the most calories in the least amount of time. 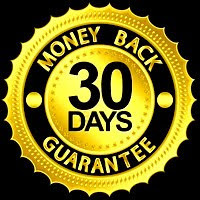 This will save you time and make your fat burning and weight loss goals efficient. Multi-joint exercises will burn more calories than single joint exercises. Multi-joint exercises are also more effective than single joint exercises in stimulating muscle. Stimulating muscle means that that muscle can grow, get stronger and in the long run rev up your metabolism to burn more calories when at rest. Another thing that is important if you want to burn fat and lose weight effectively is how you combine exercises. You want to place exercises in your fat burning routine in such a way that they work synergistically, meaning that the whole is greater than the sum if it's parts. 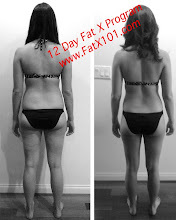 The Fat X program (FX 12) is effective and efficient at burning fat because it is set up with great calorie burning, muscle stimulating exercises that are set up to work in a synergistic fashion. Summer is right around the corner, so don't wait, get started on a fat burning routine and show off that summer body!